Our largest fundraiser of the year! 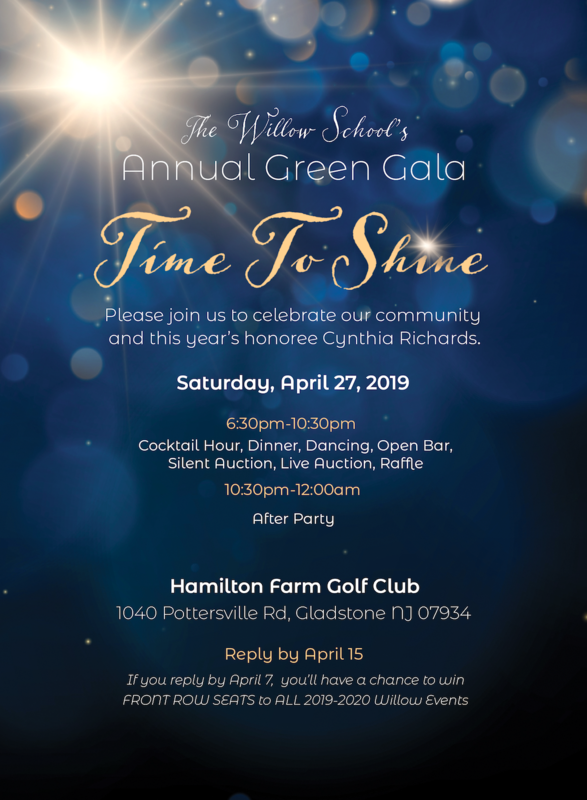 The annual Green Gala, organized by the Parents Association, is a festive evening featuring a live and silent auction, great food, entertainment, and more. This year, the Green Gala will take place on Saturday, April 27, at the beautiful Hamilton Farm Golf Club in Gladstone, NJ. We are thrilled to announce the honoree, Cynthia Richards, the immediate past Chair of the Board of Trustees, alumna parent, and deeply devoted member of the Willow community. To find out more, purchase tickets, donate auction items, and preview silent and live auction items, click here. 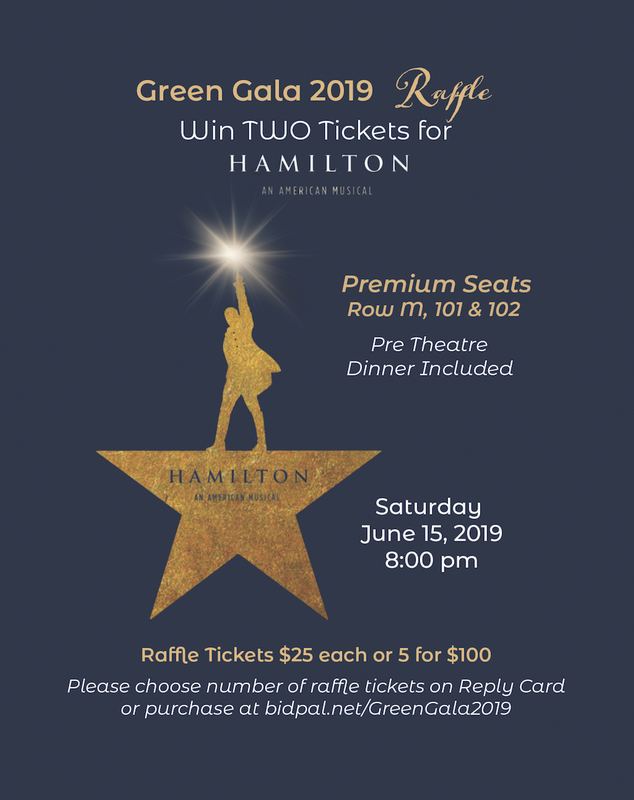 Don’t miss the Gala Raffle and your chance to win two Premium Tickets to the Hamilton musical! If you have any questions, please contact the Gala Chair, Jackie Glass LoFaro, at gala@willowschool.org.